Artist Brandon Kinder, now having returned to his hometown of Memphis, TN desired photographic collateral for the release of his new album “The Right Regrets” around the town of Memphis. After much discussion and driving research, Brandon chose some somewhat left behind pieces of town that perhaps outline the feeling of this new album. Below are the results of our session used for publications, websites, as well as the full session slideshow. There was a bit of creative freedom heres, so with Brandon’s headshots, I played around with hand written lyrics from “The Right Regrets” album and made some fun digital portraits. Check it all out below! 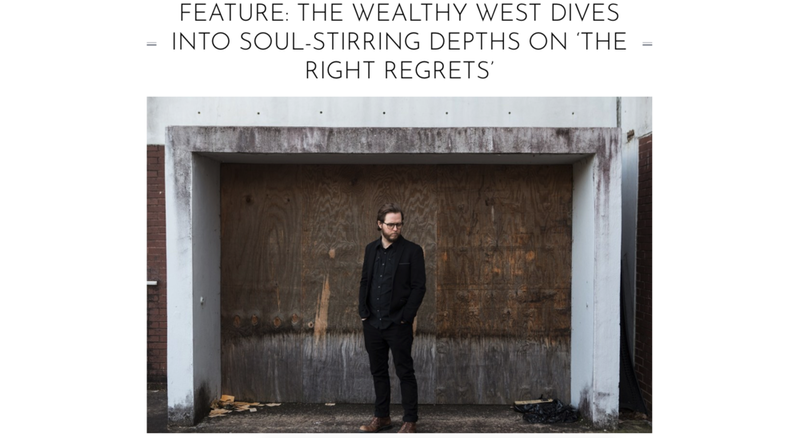 One of the features of The Wealthy West’s newest album “The Right Regrets” was that of a review on Atwood Magazine. The publication was able to use the digital collateral photographed along with an interview with Brandon Kinder as well as an album review. Click on the link above to read the article for yourself! Part of our portrait session included this site which had a distressed abandoned building and a super funky multi-colored fence line. These are purposed for backdrops on The Wealthy West’s website as well as show posters and marketing. The rest of these shots can be seen in the gallery below. 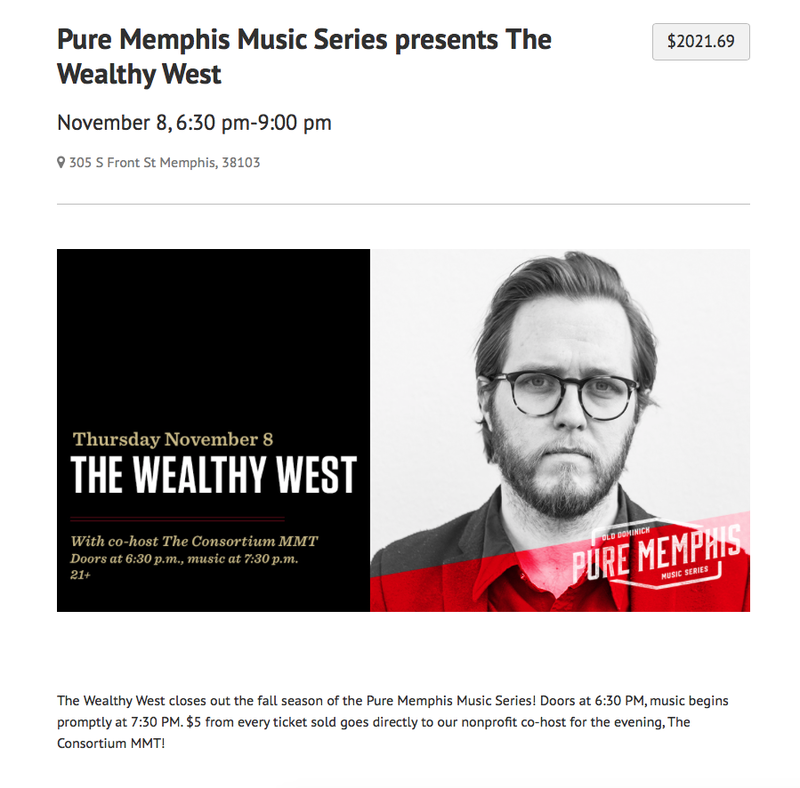 One of our portrait shots was utilized for the “Pure Memphis Music Series” marketing; this shot conveys the intimate setting of the show! Catch the rest of this session below!